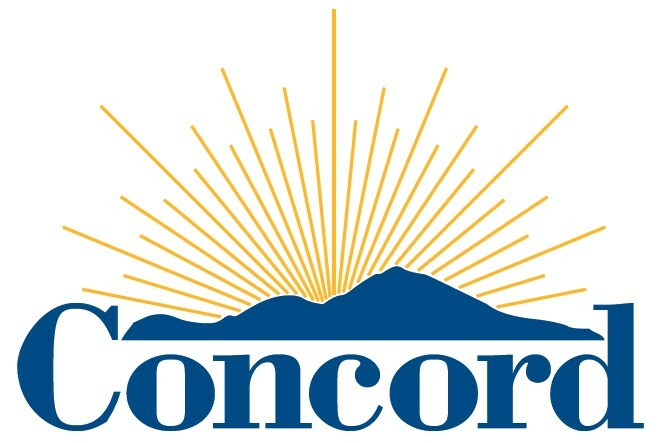 The City of Concord will have a new Mayor and Vice-Mayor on Tuesday night. Current Vice-Mayor Laura Hoffmeister is expected to once again be appointed Mayor by her fellow council members. If chosen, this will be her fifth time serving as Mayor. Every two years, the council picks a new Mayor, and a new Vice-Mayor is chosen annually. The only member of the council who has not been Mayor is Edi Birsan, who was elected to council in 2012. QUESTION: Do you like how the City appoints a new Mayor every two years, or would you rather have the citizens vote? Democracy = People vote for representatives. What a joke! Where’s the electoral process? I thought mayors were supposed to be elected? The smell of corruption is strong in Concord. “How convenient this is” has always been my take on this…they should be voted in by the people they are supposed to be serving. Careful what you ask for. Most cities do NOT elect a strong Mayor who is mainly a figure head. A strong mayor has too much power. I’d rather have 5 people working for me not a lone Caesar. Do your homework people! They should be voted on by the people. They represent the citizens of Concord not the City Council. From what I can see they are more ceremonial than anything else. They don’t really do anything of importance. They should be voted in. No vote, no support. I pay my taxes. I’d like to see a hybrid of what we have now and every 3rd year it would be open to a vote by the people of the city. If it were always open to a vote, the people won’t pay attention and who knows who we could get as a mayor. I think by have a 3rd year vote rotation you avoid the back scratching on the council and you bring in new blood etc to the position. I have to admit, the way they trade off being Mayor is a joke. I agree with number 2, why don’t we have 1 Mayor and vote them in ? Seems like it could be set up a lot better. Because as it is now, people don’t care or even know who`s turn it is next. Oh, joy! We get to hear long-winded Laura pontificate as mayor for the fifth time. How lucky can we get? I prefer an elected mayor, but the way things are going in Concord, I don’t think it would make much of a difference. My biggest question is, are all cities like this, and in Concord it’s just exposed? Or is Concord more corrupt? Or is the corruption overblown? Why not pick a new Mayor every ten years and save the theatrics. Those ‘open minded’, ‘transparent’, ‘equal opportunity’, ‘level playing field’ folks having their one sided way. Where is MY participation trophy! You sir have lost your mind. Hard to believe such a practice takes place in 2015. This should be an elected position. If you’re going to change the city of Concord to a direct-elect Mayor. then you need to go all the way and switch to a strong-mayor system, and out of the current weak-mayor system. There’s no point directly electing a Mayor whose powers don’t extend beyond gaveling in and out city council meetings and cutting the ribbons at new strip malls. Why is Edi Birsan being skipped when all the others have been Mayor before? Do clarify ‘the way things are going in leftist ruled Concord’. You have the corruption part right and NO it’s not overblown. Yes they’re politicians……and people are against Trump postured in the same old fist pumping spell as they were 7 years ago. Rich #20, It should be Birsan, but #9 above called it. The corrupt club of insiders does not like Edi Birsan, and are united to keep him out. For others, most of the local cities do this rotation nonsense. It burnishes their resume when seeking higher office. I would prefer a real election for mayor. The biggest city in Contra Costa County, with a population over 100,000 and the City Council operates as if it’s a small town in Nebraska. Uhh the idiot voters did vote and wanted a council and gave them absolute power to be corrupt and screw us and use us as a stepping stone for THEIR careers. Thank you by the way for indemnifying our children to serve and work for a supposed public servant entity for 50 years the voters have chosen to screw the children prop 13 …prop 47…refusing to use taxes for children instead voting for measure Q. A temporary tax for the tunnel and yet voted to keep it even though there was no representation of where it was going then the board of corrupts slapped on another tax for the MTC. You denounce cattle slaughter ….yet throw your kids as well as all of us to the head of the slaughter line smiling and patting your back the whole way. You weep for change and yet vote to keep us in chains and give away our freedoms and have corrupt individuals run our lives into the ground. You voted for this own up to it …raise your hand and say yes I voted to screw everyone be responsible and tell your children they get no education and have to deal with violent schools and no funding to educate. Well done you have made the difference in keeping us indentured servants to corruption. jtkatec #24 – yes but………..most of the population is not well versed in government and they really don’t care. Very sad indeed. When people are impressed by a resume’ and not the substance of a person (example Ms Hoffmeister, she may have graduated from UC Davis but that doesn’t mean squat or the Rev. Grayson because he is a Rev) it will never change. My friends son who has a PhD in economics from Princeton told me that having a PhD is not that impressive, it just means he showed up when he needed to and wrote a paper. The boy has it right there. To many in Concord look a the “glitz” and do not dig to find the substance. How many of you saying that the Mayor should be elected actually voted for the last Concord City Council election? It sounds nice and clear cut to elect a Mayor, but think of how ugly and expensive the election would get. Since Mayors perform mainly ceremonial duties, it’s not even necessary. What would be the incentive anyway? More ribbon cuttings, rubber chicken dinners? A Mayor’s vote has the same weight as the rest of the council, so unless city charters ae changed to give Mayors more power, this thread is just an exercise in frustration. Go for it people! Tis the season! I would vote for the Mayor of Claycord to be our Mayor. If he’s too smart to take the job I would nominate the honorable Atticus Thrax. That would be a hoot . #28 – I voted and not one vote went to a member of the Evil 3. Like I said before it wouldn’t matter in Concord as the only mayor Concord would get would be the one that Seeno, Garaventa and the POA bought. as a peon not in the known, why is this edi guy passed over for mayor every year? it’s Edi Bersan’s turn. Fair is fair. City Council: You need to play nice, tell the truth, and eat your vegetables or Santa won’t visit your house on Christmas. If concord voters continue to vote for this council, changing the rules isn’t going to result in a different outcome– they will continue to vote for the same people in different positions. Please apologize to small towns in Nebraska. IMHO they are probably better governed. While we are at it….how about term limits on all city and county elected positions. 3 term is more than enough. Can’t have new blood when the old blood and their cronies that financially back them know they can be in the position forever. 3 terms is enough……there needs to be opportunity for new blood with new ideas. Council members and county elected officials need to work smarter to get things accomplished. Also nobody that works for any governement entity can serve on a city council. This would mean that Laura could not be on a the Concord City Council, Lara DeLaney could not serve on the Martinez City Council, no Ruth Adkins on the Emeryville Council and the Concord cop that sits on the PH City Council would be a no-no. Regardless of what everyone says there is a definite conflict of interest. @37 that was the point …as it sounds like you voted for all the garbage that has us in a stranglehold. Incomprehensible…. large word yet still the point remains the council posts a mayor-e-go-round so that all the council members can serve and take life time benefits or the cash value. Concord is a cash machine for these corrupt flesh peddlers. It’s incomprehensible they still exist and or were even given absolute power. But the lemmings just keep voting to keep us down. That’s incomprehensible………..
Grayson and his evil 3 stooges have a hold on the council and work for their own interests. Grayson wants to move to Sacramento and the three evil stooges want to ride his coat tales. The people of Concord are insignificant to those four crooked politicians. Edi is the only sane voice on the council and he won’t conform to the baloney being ground up and spewed by the other four. So they do whatever they can to punish him. Edi is the only member of the City Council who really cares about the people of Concord and he is the one treated the worst. I’m sick of pre-made decisions being passed off as public decisions. That said, we can get rid of these three collaborators, but there will be the next three to worry about – change in the selection process is what we need. We need district representation – not at large. If an elected official is accountable to his/her neighborhood, they will be a bit more willing to accommodate their district and less interested in being bought by a handful of suits. What people don’t seem to realize is that there are two types of City government – one is Council-Manager, where the City Manager makes the decisions with the approval of the Council , and the role of Mayor is rotated among Council members which is essentially a “window dressing” type of position. The other form of government is a STRONG MAYOR form of government where he/she, has power to make decisions about various issues in the City. He may or may not run, but his chances of being reelected are slim to none. Those in power, both on the council and in a money-giving capacity, will see to it. The Establishment only wants people on the Council who are willing to “go along”, and Edi doesn’t conform, so he has to go. Our only hope of keeping him on the Council is for a STRONG voter turnout, voting for Edi and no one else. If he doesn’t run, WRITE HIM IN. It would be great if a few people showed up for public comment at the council meeting this evening to express concerns posted here. Hope – won’t happen. I for one am tired of going and speaking up for the lazy citizens of Concord. Came to that conclusion after I brought up PEPRA violations a few weeks back. If all these people are to lazy to go speak up then Concord gets what it deserves.